The Crab Nebula is a great example of what a star looks like soon after it has run out of fuel, collapsed on itself and blown up in a super nova explosion — one of the largest and most violent releases of energy the Universe has to offer. Long before Charles Messier cataloged it, the ancient Chinese witnessed the super nova that created The Crab Nebula as it erupted, recording the phenomenon in their history books and detailing its location, brightness and longevity. 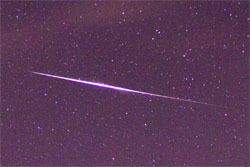 The exploding star was so bright it could even be seen during the daytime. 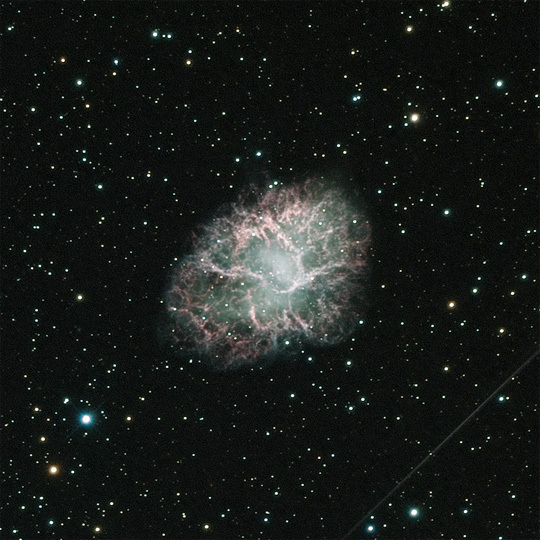 Below is my first photo of the new year, Messier #1 — The Crab Nebula. It looks more like a sea sponge or luffa to me, but this object got its name from an early observer who described the fuzzy ball as looking like a crab. 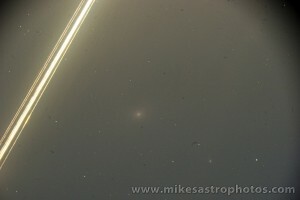 The image below is a long exposure photograph taken from my ground based observatory in the Sierra Nevada Mountains. 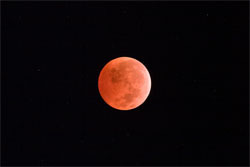 It’s a combination of 2 hours of Red, Green and Blue PLUS 7.4 hours of Luminance (clear) and 8.6 hours of Ha for a total exposure time of : 2 + 2 + 2 + 7.4 + 8.6 = 22 hours! To spice things up a little bit more, I added a layer of X-Ray data captured by one of NASA’s space based telescopes, The Chandra X-Ray Observatory. 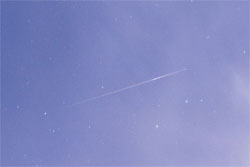 Note: the diagonal line on the bottom right of the Nebula is not a satellite but actually a refraction spike from a bright star nearby but off frame. The Chandra X-Ray data reveals a neutron star in the center of the Crab Nebula that was hypothesized and later discovered in the 1960s. 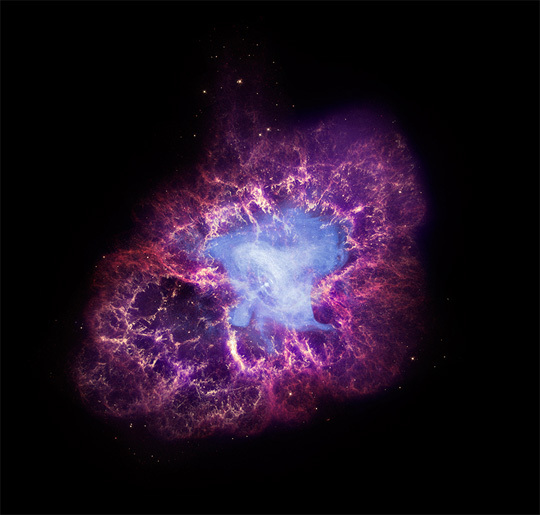 Below is an x-ray image of the Crab Nebula taken by NASA’s Chandra X-ray Observatory. I blended this X-ray photo as a layer with my final LRGB-Ha image. You might be wondering how I knew where to put the X-Ray data or where it is inside my picture. 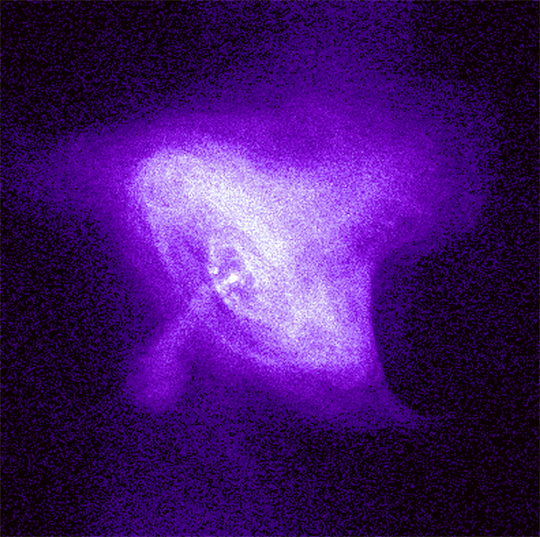 I was subtle about blending it in, but to give you an idea of where the x-ray data is relative to the visual light data, take a look at this image of the Crab Nebula published by NASA using data collected from Hubble, Chandra and Spitzer space telescopes. (This was the guide I used to place the Chandra data on my picture). 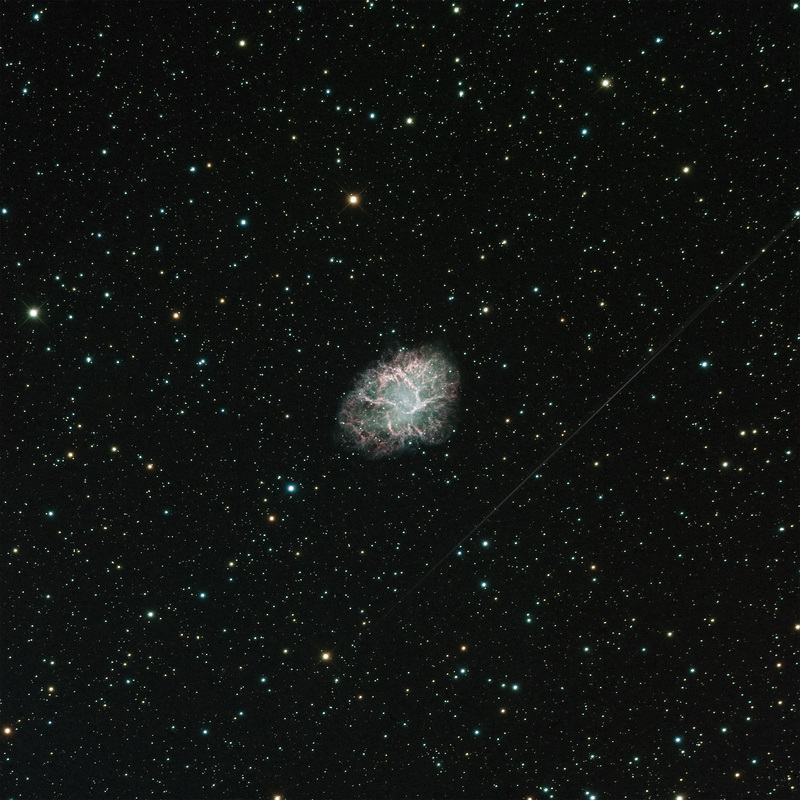 Visit this link, if you are wondering what my Crab Nebula Image looks like without the x-ray data, or check out this animated gif showing my image of the Crab Nebula with and without the x-ray data. As a final thought, The Crab Nebula is approximately 4,000 light years away, so if the Chinese saw it explode 1000 years ago, how many years ago did it actually blow up? This is a little bit of a joke, but I actually thought about that for a second and it got me wondering about how long the Crab Nebula has looked this exact way, and I wonder how it must have looked just a few days after the super nova went off. As it turns out, the gases in this nebula are still expanding and photos taken over a series of years actually show the clouds growing. Especially the x-ray images! Watch this movie showing changes in the Crab Nebula’s clouds over just six months or check out the Crab Nebula photos inside the Chandra X-Ray Image Archive to see how things have changed over the years. 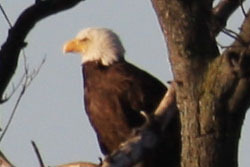 Total exposure: 8.6 + 7.4 + 2 + 2 + 2 = 22 hours!